Security forces at an Air Force base in Montana failed to stop a simulated capture of a nuclear weapon, revealing a "critical deficiency," according to internal documents obtained by the Associated Press. It said insufficient training was at the heart of the problem, beginning with a lack of familiarity among the security forces with "complex scenario" exercises. It also cited unspecified shortcomings in "leadership culture" and a lack of standardized simulations not only at Malmstrom but throughout the nuclear missile corps. After this critical internal report, the base faced another test two months later and security forces passed. The Air Force failure comes less than a year after Eric Schlosser's explosive book Command and Control, which found that the U.S. Air Force has come incredibly close to accidentally setting off nuclear weapons several times. At the "Damascus Incident" in 1980, for example, a worker at an Air Force base dropped a socket during regular missile maintenance and pierced a Titan II ballistic missile, sending rocket fuel spraying. That almost led to an accidental nuclear explosion in Arkansas. In a conversation with The Wire last September, Schlosser noted that because of the Air Force's compartmentalization and secrecy, many of its leaders didn't know about the safety breaches until he uncovered them. That suggests that outside reporting by the AP and others is just as valuable as the Air Force's own internal investigations. 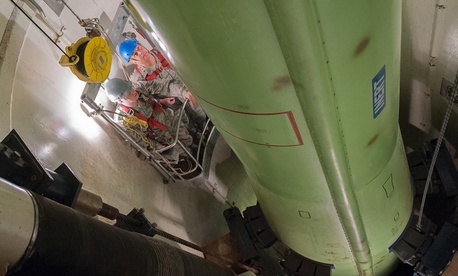 The AP's reporting over the last six months has numerous concerns with the Air Force's nuclear missile units, including low morale, poor training and leadership, and institutional neglect.